THIS BOOK IS SOLD OUT. THANKS TO ALL FOR YOUR SUPPORT. Your life is a movie. You are its director and star character. Your role is to make your life's movie legendary. Connect to Your Supporting Cast. Doug Manning is a nationally recognized expert in the field of career and life management. 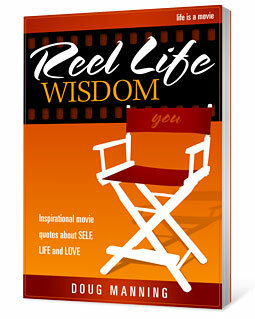 His perspectives are integrated with nearly 600 inspirational and thought-provoking quotes gathered from films across the ages. to anyone actively authoring their own existence.